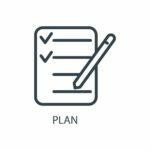 Anyone who’s ever planned a successful event, whether a charity fundraiser or just a special night to reward staff or supporters, knows how many details go into every decision. However, along with the food, the main thing the people tend to remember about an event is the entertainment. Choosing the right entertainer can make a world of difference for a corporate event. 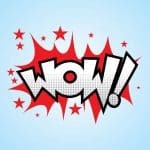 Since it is often the last impression that people will leave your event with, the proper entertainment is the one thing that can turn a blah event into something that people will be talking about for weeks afterward. Choosing the right entertainment can be a struggle in and of itself. Musical tastes are so polarizing that any singer, no matter how talented, is sure only to appeal to a percentage of the audience, leaving the rest bored and hoping for a quick ending to the night. Comedy, as long as it is not too extreme, is usually a safer bet, as everyone likes to laugh. Similarly, the wonder of magic, when performed well, appeals to the child in everyone. Piff the Magic Dragon at your next event? What do you get when you cross a man dressed up as a colorful dragon, a dog in a mini dragon suit and a lot of bananas? The result is the one and only Piff The Magic Dragon and his insanely magnificent magic tricks. His magic, strangely enough, isn’t centered solely on traditional gimmicks like pulling rabbits out of hats or even shooting his dog out of a cannon. His jaw-dropping magic is all inclusive in every single thing he says, every movement he chooses and every sound effect he perpetrates. His birth name is Jon van der Put and he’s originally from the UK. While he’s a graduate of the Central School of Speech and Drama, he’s also got a computer science degree. In total, he’s been doing magic tricks for about 17 years now. Piff was born when his best friend had a Christmas Party. Jon didn’t have anything “fancy” to wear. So he borrowed a dragon suit from his sister and painted his nose red, like Rudolph. He debuted as a ‘”reindragon” and it was very well received. Before America’s Got Talent, Jon performed for thousands at Radio City Music Hall, Shakespeare’s Globe, the O2, London & Sidney Opera Houses and at The Cosmopolitan in Las Vegas. In 2009, Piff The Magic Dragon wanted to add a gimmick to his act, so he adopted a small white Chihuahua and named him Mr. Piffles, who is now known as the world’s first magic performing Chihuahua. He’s been levitated, laminated and even secured into a straitjacket and shot out of a cannon as part of their amazing performances. At the age of 19, Jon began studying the Transformation trick originally invented by Guy Hollingsworth. While practicing, he “accidentally” came across a way to change a card one little bit at a time. As a result, this became his signature piece called the VDP Transposition. From breathing fire to performing card tricks complete with audience volunteers, Piff wows his viewers with a variety of illusions, interspersing them with his brand of quirky comedy and deadpan delivery. If you are looking for a unique performer to liven things up at your next special event, look no further than Piff. Fast forward to 2015 and you will find this trick being performed with Heidi Klum’s help on America’s Got Talent. Piff’s performance on America’s Got Talent sees the return of his classic card trick, with Heidi Klum as his assistant. Piff performs his talented routine while making casual conversation with the judges and just being his awkward, sarcastic self. This magic dragon gets the judges on his side while keeping the audience laughing too, resulting in a thoroughly pleasing show. Although Mr. Piffles isn’t a part of this particular act, the mysteriousness and precision involved in this trick absolutely mesmerizes the judges as well as the audience. This is an actual magic trick and is very well executed, but it’s by no means the sum total of his abilities. Much of the magic with this entertainer lies within his clever sound effects and his witty repertoire that keeps the audience on their toes and wanting more. Couple this with the background music that’s carefully weaved into parts of the act and the result is always a quality performance catered to most any audience. For example, in the video above, as the judges begin to critique his magic trick with Heidi, he pulls out a banana and begins to eat it. Normally considered a rather rude gesture, he manages to magically work the eating of a banana into his routine and further engage the audience with his witty comments and playful gestures. Like a classic magician, Piff makes rabbits appear and disappear in this segment, with the help of a trusty audience assistant and some well-placed comedy. 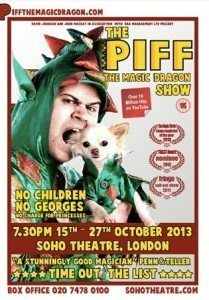 Also interspersed here are clips of an interview where Piff talks about his act and how he got started in the magic dragon business. This is an excellent showcase of Piff’s talents and his unique personality. Piff’s appearance on Penn and Teller will brings laughs and cheers from any audience. Whether he’s sneezing fire, making things appear out of nowhere, or performing a baffling card transformation trick, Piff keeps his audience engaged at all times, while throwing in comedy and smooth-talking the ladies as well. Piff and Mr. Piffles keep everyone entertained. In this segment, Piff once again performs a unique card trick with the help of a lovely audience volunteer, using his sharp tongue and quick wit to get many laughs along the way. With talented skills, fire-breathing, and some quirky sound effects added to the mix, Piff, and his one-of-a-kind act certainly know how to please a crowd. No matter what sort of event you’re planning, it’s safe to say that a performance by Piff the Magic Dragon, along with some help from Mr. Piffles, is something that your attendees will remember for a long time to come. Coupled with his increasing fame thanks to season 10 of “America’s Got Talent”, Piff Dragon is sure to get an audience first to laugh and then gasp with surprise at his illusions. Most importantly, a visit from Piff the Magic Dragon is certain to ensure they leave talking about what an incredible event they just attended. When booking entertainment for events, one of the goals is to create a memory or an experience for the guests that they’ll carry with them forever. Piff the Magic Dragon and his unbelievable magic tricks have done this for thousands and can do it for your event too. Book him for your event today. What comedian knows the best jokes about parenting?